With an eye on the 2019 Lok Sabha elections, the Union government has announced a number of proposals to assuage the farming community. Apart from reiterating its earlier promise to double farmers’ income by 2022, the Union Budget 2018-19 has increased agricultural outlay by 15 per cent. The government has also assured farmers that the Minimum Support Price for farm produce will be fixed at 50 per cent over input costs. Outlays for rural credit and crop insurance too have been raised. Farmers comprise about 55 per cent of the voters in the country. But the paradox is perplexing. While there is scepticism as to when these proposals will materialise and reach the farmer, one crucial aspect was conspicuous by its absence in the Finance Minister’s speech: the impacts of climate change on agriculture, especially after the recent Economic Survey underlined that climate change is a critical issue affecting Indian agriculture. It is no secret that climate change-induced extreme weather conditions, temperature increase and sustained changes in climatic patterns have cast a shadow on the productivity of Indian agriculture. That’s why the National Innovations in Climate Resilient Agriculture (NICRA), India’s first but little known central government programme to address the risk of climate change, has too much at stake. Launched in 2010-11, the programme, run under the aegis of the Indian Council of Agricultural Research, covers 151 villages that are vulnerable to extreme weather. The objective is to provide site-specific technological demonstrations to enhance the adaptive capacity of farmers in “climatically vulnerable districts” of the country. A programme like NICRA was long overdue. Due to the impacts of climate change, agricultural productivity has stagnated. Recent studies reveal productivity losses of 4-6 per cent for rice; 6 per cent for wheat; 18 per cent for maize; 2.5 per cent for sorghum; 2 per cent for mustard; and, 2.5 per cent for potato in the last two decades. This decline is only expected to continue. According to a report by the Parliamentary Standing Committee on Agriculture, losses due to climate change are to the tune of 4-9 per cent of the agricultural economy each year, which is an overall GDP loss of 1.5 per cent. In recent years, extreme weather has become a part of the common parlance in Indian agriculture. For instance, in February, crops on nearly 125,000 hectares in 1,086 villages across 11 districts in Marathwada and Vidarbha regions of Maharashtra were damaged after being pounded by unexpected hailstones and thunderstorms. Similar reports have been pouring in from Uttar Pradesh, Punjab, Haryana, Madhya Pradesh and Rajasthan in recent years. India is one of the most vulnerable countries in the world when it comes to climate change. According to a report of the India Meteorological Department (IMD) in 2013, 18 states and two Union Territories have been observing a significant warming trend. According to estimates, India could witness a temperature rise of over 4°C by the last quarter of the century. The Intergovernmental Panel on Climate Change’s (IPCC’s) assessment report in 2014 says that both rice and wheat could see drops in yield by 7-10 per cent and in maize by up to 50 per cent by 2030. According to a study by the Agricultural Economics Research Review published in 2014, rice and wheat yields could witness declines of over 15 and 20 per cent respectively by 2100. The need for adaptation to climatic exigencies has been starkly evident over the years. Since 1995, more than 0.3 million farmers have committed suicide. In the worst-hit regions, the biggest reason has been crippling indebtedness fuelled by successive crop failures. The government has been showcasing NICRA at several national and international events as its response to adapt to a changing climate. The project has also been advertised as being integral to not only India’s Intended Nationally Determined Contribution (INDC) for climate action under the Paris Climate Pact, but also to meet four Sustainable Development Goals of the United Nations. Following the launch of NICRA, the Central Research Institute for Dryland Agriculture (CRIDA) in Hyderabad was roped in to plan, coordinate and monitor the project. Based on a climate vulnerability index and inputs from district-based Krishi Vigyan Kendras (KVKs), 121 villages in different districts weres selected for the pilot project (the number was later increased to 151). The selection was made considering different kinds of stress faced by farmers and the programme sought to address changes in temperature and precipitation, apart from soil degradation and water scarcity. According to officials from NICRA, about 24 interventions are being implemented to boost natural resource management, crop production, livestock and fisheries potential and farmers’ financial safety nets (see `Right on diagnosis, low on treatment' on p40). Till now, nearly Rs 1,000 crore have been allocated for the programme. But when Down To Earth visited some of the adopted villages, the programme was far from being a roaring success. With most interventions being inconsistent, NICRA is nothing more than a selection of technological fixes which seem neither scalable nor sustainable, even after more than seven years since it was launched. Bongheri is an idyllic village in the South 24 Parganas district of southern West Bengal. It is located in one of India’s most cyclone-prone regions on delta land. Fragmented by innumerable rivulets, which drain into the Bay of Bengal, the village faces two cyclone seasons each year. The northern bay of the Bay of Bengal is shallow and the coast is landlocked on three sides causing a submergence of the entire coast during the cyclonic storms. The vulnerability is palpable. Barely 5 m above sea level, the land is frequently submerged by storm surges and remains highly saline. “The last one was cyclone Aila in 2009. In some areas, the land was waterlogged till 2014 and is still too saline for agriculture. We couldn’t grow anything. 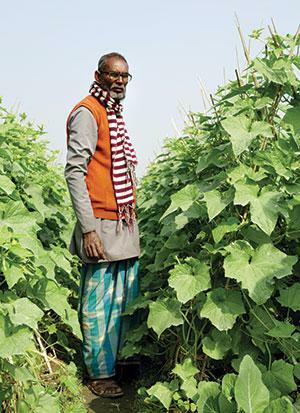 Farmers have been migrating in search of livelihood,” says Ratan Mandal, a farmer from Bongheri. But over the past few years, Bongheri has begun to turnaround. It is now one of the few villages in the region covered with lush, healthy fields throughout the year. The reason: soon after cyclone Aila, Bongheri was chosen under the NICRA. “The first thing we did was to treat the land to reduce waterlogging and then ensure supply of freshwater,” says Prabir Ghairat, the programme coordinator with the Nimpith Krishi Vigyan Kendra (KVK) which looks after the project in Bongheri. 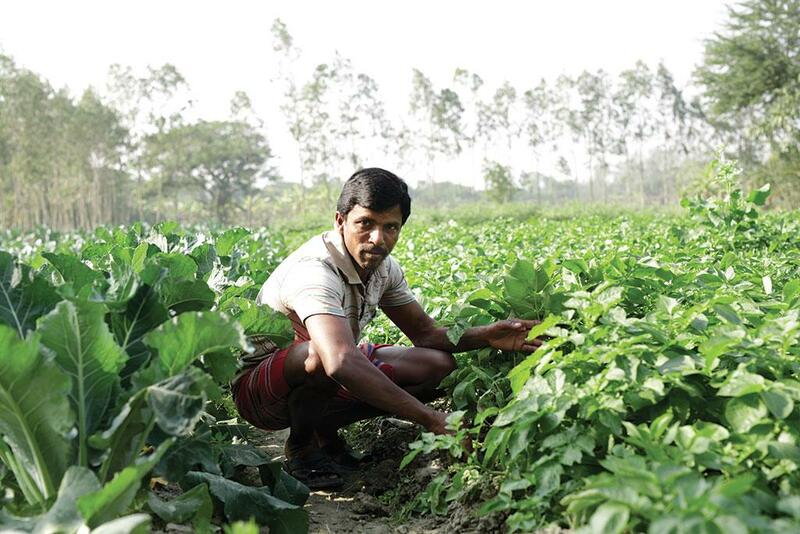 “Within a year and a half, we were able to grow sunflower and sweet potato and crops that can sustain soil salinity,” says Gauranga Nashkar, the secretary of the village farmers’ club through which the programme has been implemented. Residents have now managed to increase the number of cropping cycles from just one to three every year. Armed with soil health cards, they have reduced fertiliser use by up to 50 per cent by creating vermicompost pits. And with the introduction of horticultural crops like cabbage and cauliflower, agricultural income has shot up by nearly 20 times, says Nashkar. But the story in most of the other villages adopted by NICRA is not as inspiring. Take for instance Khagribari village of Cooch Behar, not very far from Bongheri. Here, the problem is one of diminishing rains. “We used to get sustained rainfall during the monsoon, but now we get only short bursts,” says 65-year-old Tofajjal Hussain, a farmer. 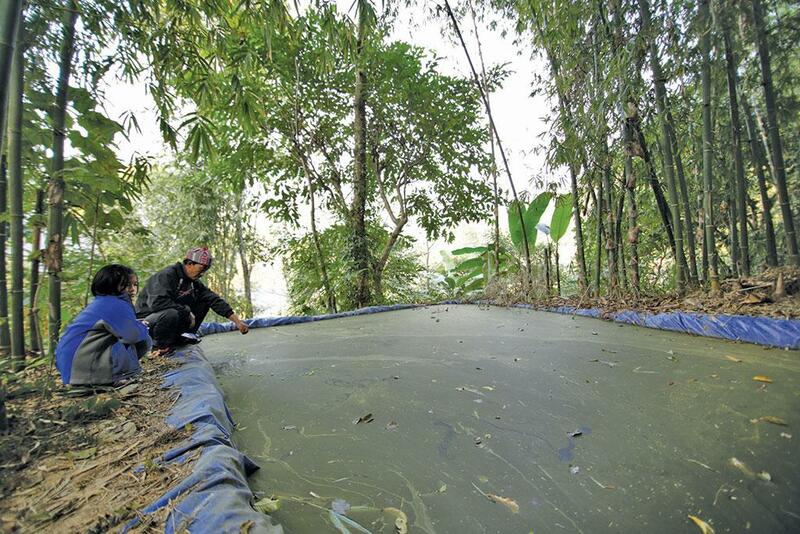 According to local people, rainfall has declined by up to 30 per cent in recent years. “Worse, the water holding capacity of the soil is low and groundwater too is patchy, so there is very little scope for irrigation,” says Sujan Biswas of the Cooch Behar KVK, which has been running NICRA’S programme in Khagribari village for seven years. Here, NICRA’s initiatives included building community farm ponds and bunds for better management of water. Yet, a smaller proportion of farmers have benefitted. One of the reasons is that unlike Bongheri, which has only about 350 families, Khagribari has around 1,600 households. However, the budgetary allocation under NICRA is the same for all villages, so the penetration of programme awareness and technological innovations have not percolated to all farmers. So while most farmers in Bongheri have built individual farm ponds, farmers in Khagribari have to share the community ponds. Though diversification of crops and cropping systems are a permanent template for NICRA’s interventions, it has its own set of drawbacks. A farmer can benefit only if he/she is directly connected with the nodal agency, the KVKs. For instance, in Khagribari, the KVK asked farmers to shift from a long-duration paddy variety to a medium-duration one. But most farmers are cautious as they are now entirely dependent on the KVK to supply them with the seeds. In Nandok village in Sikkim, which has also been adopted by NICRA, it is to do with horticulture crop seeds. So dependence has replaced vulnerability. “Though water conservation techniques and medium/short duration seeds have helped a lot, it has also created a problem as we are now solely at the mercy of the KVKs,” says Nironjan Pal, a 65-year-old farmer from Khagribari. As a result, such villages will always need handholding. 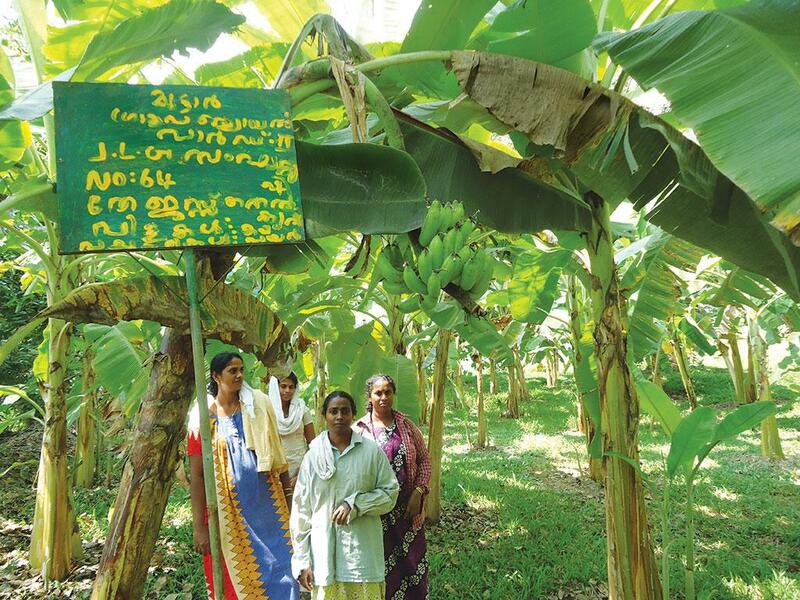 Integrated farming, promoted under NICRA, is a big hit in Muttar village in Kerala’s Alappuzha district. Farmers here say trainings in poultry farming, animal husbandry and mushroom cultivation have been immensely helpful in supplementing incomes. But NICRA’s attempts have also gone awry in many villages. For instance, in West Siang district of Arunachal Pradesh, chicks of the Vanaraja breed were distributed to farmers enrolled with NICRA. But a bird flu epidemic killed most of the chicks. “By the time they weighed about one kg, they all started dying,” says Modak Riba of Disi village. The story repeats itself in house after house in the three neighbouring villages where NICRA was launched. In Odisha’s Bhoimunda village, the introduction of poultry did not yield results as the survival rate of the Vanaraja chicken in acute summer heat is not good. In Nandok, piglets distributed under NICRA disappeared quickly since pork is a preferred meat in the region. “We didn’t consider local habits while looking at the profitability. That people would consider it more worthwhile to just consume the piglets simply didn’t occur to us,” says Raghavendra Singh, NICRA’S coordinator in the East Sikkim KVK. The final component in NICRA’s roadmap is capacity building among farmers by strengthening existing self-help groups, training farmers in new techniques and creating new village-level institutions for farm machinery and community funds. Though initiatives such as seed banks and nurseries are part of NICRA, the only visible intervention is the “Custom Hiring Centres”, which serve as common repositories for farming equipment and machinery. The objective is to use farming equipment as a shared resource that can be rented by farmers as per their requirement for a nominal fee, and the money collected is then used for expansion and maintenance of the inventory. Since the initial investment is borne by the KVKs, it is not easily replicable in villages that have not been adopted by NICRA. Also, the feasibility is limited in large and poorer villages, as was the case in Khagribari. In Kalari village, farmers say the effort could not take off as resource sharing was prone to disputes between farmers. 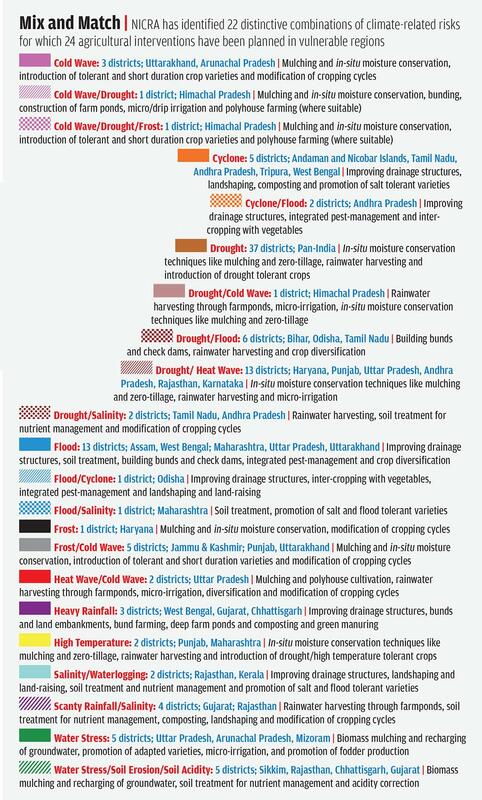 While technological interventions have worked in some places and failed in others, they are ultimately band-aid fixes that cannot work without an overhaul of the system within which Indian agriculture functions. Little wonder then that seven years on, authorities are still struggling to figure out how to expand NICRA. while THE risks and impacts of climate change that led to the creation of the National Innovations in Climate Resilient Agriculture (NICRA) were clear, there was simply no data to choose the vulnerable villages. The Central Research Institute for Dryland Agriculture (CRIDA), Hyderabad, was tasked with preparing the Vulnerability Atlas of Indian Agriculture to Climate Change. CRIDA scientists, in consultation with several organisations, evaluated the vulnerability of 572 rural districts across the country in the largest-ever exercise so far in the country. The metrics used were a combination of indicators that reflected three components—exposure, sensitivity and adaptive capacity of districts. While sensitivity and exposure indicate the nature and degree to which a region was exposed and affected to climate-related stimuli respectively, adaptive capacity is a reflection of the ability of a population to cope with climate-related stress. In all, 39 indicators from at least 19 separate sources were chosen to prepare the atlas. The mapping indicators included the agricultural status, availability of water, climatological and meteorological trends and the social-economic status. The database was then used to create a single vulnerability index for each district through a process of repeated weighted averaging. The districts were arranged into five categories reflective of their vulnerability based on the index. To map future vulnerability, the authors included modeled climatic variability for 2021-50 and 2071-98 relative to the baseline values observed during 1961-1990. Districts for NICRA were chosen according to this atlas. Then the Krishi Vigyan Kendras from the shortlisted districts were asked to select suitable villages to roll out the programme. Critics, however, point out that this mapping may not paint an accurate picture of vulnerability in the future. Moreover, the social indicators that have been used were taken from the 2001 Census, which might not indicate the actual picture as we approach the 2021 Census. Right from its conception, NICRA was planned around the wide network of KVKs, agricultural extension units set up in every district of the country to assist farmers. The entire implementation of the programme lies with these extension centres, even though the agriculture ministry admits that KVKs are equipped with “modest infrastructural facilities”. Each KVK has a sanctioned strength of 16 employees, including six subject specialists and a project coordinator for NICRA. But in reality, KVKs are usually short-staffed and many posts are short-term contracts. The experience with research fellows hired to implement NICRA is also similar. The result is that many positions are vacant at any given point in time. “The NICRA project is only a part of the larger responsibilities of a KVK. KVK personnel have to look after other villages in the district. It is impossible to scale-up operations if personnel vacancies are not filled,” says Sujan Biswas of Cooch Behar KVK, where three of the six posts are vacant. NICRA has failed in one of its most basic metrics of evaluation—participation. One of the most striking gaps in the entire roll-out of the programme has been the low number of participants who have enrolled in the programme. In Kalari, participation is just over 30 per cent; in Nandok, it is less than 20 per cent; and, in Muttar, Kerala, it is around 10 per cent of the total households. Even in a successful village like Bongheri, the proportion of participants to the number of households is about 67 per cent. In both Sikkim and Arunachal Pradesh, the lack of participation has forced KVKs to look for other villages which are more enthusiastic. “Farmers have to be coaxed to try out something new. It is the biggest challenge in agriculture throughout the country,” says R Bhagwati, who is the joint director at the Indian Council of Agricultural Research centre in Basar, Arunachal Pradesh. On the ground, the sentiment is one of lack of conviction. “After six years of seeing what NICRA has done for others who have enrolled, we are far from convinced that these interventions will help us. The technologies that have been demonstrated have convinced me that enrolling might increase our costs. Nearly nothing that has been given has worked, just look around,” says M Annapurnamma, a 52-year-old farmer from Kalari village. One of the main objectives of NICRA is to create a model for climate-adaptable agriculture that can be replicated in every village in the country in accordance with the specific vulnerabilities. But more than six years later, the outlay of more than Rs 1,000 crore has evinced only a lukewarm response and mixed results from the 151 adopted villages. According to the Parliamentary Standing Committee Report on Agriculture, only less than Rs 500 crore were spent between 2010 and 2016. At the same time, budgetary allocations have taken a downward slide. Allocations have declined from Rs 180 crore during the first allocation in 2010-11 to Rs 52 crore in 2018-19. Officials claim the reason is the completion of capital-intensive works taken up in the initial years of the programme. The agriculture ministry claims that at least Rs 18 lakh is given to each KVK for NICRA activities, but KVK officials say the amount is closer to Rs 10-12 lakh. Further, there are also allegations that funds are not distributed equitably among the KVKs. “You cannot expect a village of 2,000 houses to be trained and transformed with the same or even less amount as allotted to a KVK working in a village of 200 houses,” says Sujan Biswas of the Cooch Behar KVK. For instance, while Biswas’ own KVK was allotted Rs 12 lakh in 2015-16 for undertaking activities in Khagribari, a village of 1,600 households, the Nimpith KVK, run in collaboration with the Ramakrishna Mission, was allotted slightly more even though the village has merely 350 households. One of the modules under NICRA’s action plan was to strengthen existing institutions and creating new ones to supplement the availability of inputs like seeds, fodder, farm machinery and tools, as well as to facilitate access to markets for ease of transactions. However, this component of the programme seems to have failed to take off. On the contrary, it has created a dependence on the KVKs for major inputs like seeds and fertilisers. Further, the benefits of training and demonstrations offered by KVKs are linked to inputs which again have to be provided by the KVKs. NICRA is only one of the several rural and agricultural schemes taken up by the government. 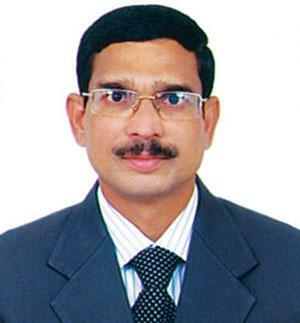 How it can be integrated with other agricultural programmes is still being figured out, according to K Sammi Reddy, director of Central Research Institute for Dryland Agriculture, Hyderabad, the nodal agency for the programme. “There are several government projects working under several different institutions. These schemes work under different frameworks that are often discipline specific, so many of the climate resilience progra mmes run by the government are quite reduc tionist,” says A Ravindra, director of Watershed Support Services And Activity Network, Hyde rabad. 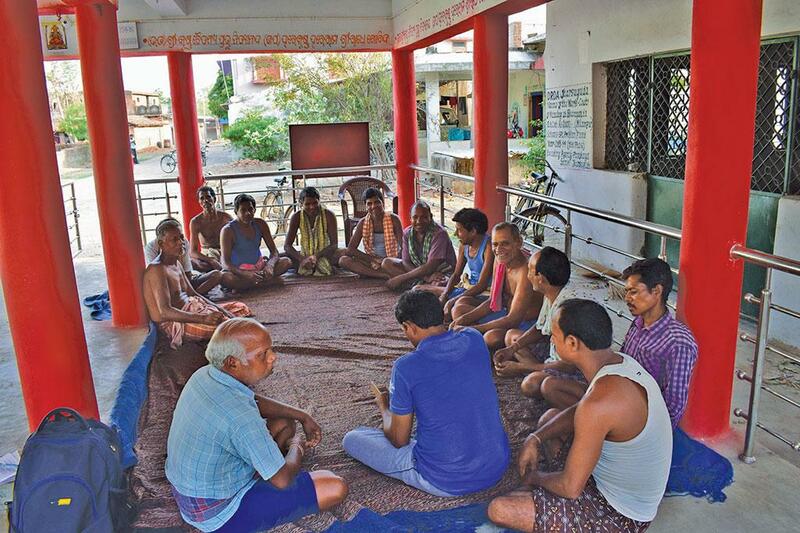 Moreover, there is hardly any participation from other village-level bodies like the Gram Panchayats in NICRA’s activities (see ‘More convergence is needed’,). The Economic Survey of 2018-19 mentioned climate change as a major obstacle to doubling farmers' income. How can NICRA help in addressing this? NICRA has achieved twin objectives piloting the innovative technologies for climate resilient agriculture and deployment of technology. Farmers who have been a part of NICRA have benefitted in income by 20-60 per cent. Importantly, the aim is not only to achieve doubling of farmers' income by 2022 but also to make agriculture climate-resilient and resource efficient, and to minimise agricultural emissions. Several programmes are running with a similar objective despite calls for better integration. Forty institutions under the Indian Council of Agricultural Research (ICAR)were involved during the first phase of NICRA. While there has been a broad convergence between NICRA and the National Mission for Sustainable Agriculture (NMSA), convergence with department officials of Agriculture and Allied Sectors is the need of the hour. The respective Agricultural Technology Application and Research Institutes (ATARIS) may take proactive role in this. CRIDA as nodal agency of NICRA, should be given the mandate and resources for capacity building and training workshops targeting line department personnel from different agro-climatic zones. ICAR Institutes should continue focus on research and technology innovations whereas large scale execution and up-scaling should be assigned to the line departments like agriculture, animal husbandry, fisheries, irrigation, groundwater departments etc. How much has NICRA cost the country so far? During the first phase of the programme, when new institutions and infrastructure were created and pilot projects were carried out, a total of Rs 900 crore was sanctioned. For the period 2017 to 2020, an amount of Rs 173 crore has been estimated, including Rs 50 crore for the ongoing fiscal. So far only a miniscule of India's vulnerable villages have been touched by NICRA. How can this be expanded? Now, development departments across various levels of government must take a clue and upscale interventions across states. Replication of NICRA models are already evident through some of the state government programmes such as Project on Climate Resilient Agriculture (POCRA) by the Government of Maharashtra in 5,000 villages, with an estimated budget of about Rs 4500 crores funded by World Bank. Similarly, implementation of climate change action plans are progressing in states like Odisha, Telangana, Karnataka, Assam, Mizoram, Madhya Pradesh and Jammu & Kashmir. One would like to believe that rural employment schemes like the Mahatma Gandhi National Rural Employment Guarantee Act would be beneficial for a project where asset creation is one of the main thrust areas. Yet there is hardly any integration even in the creation of community resources like water harvesting structures. The project’s objective is also in sync with the India Meteorological Department’s (IMD) mission of increasing its network of Automated Weather Stations (AWS), which will ultimately help in gathering finer resolution meteorological data. While CRIDA has an agreement with IMD, the progress of popularising AWS in NICRA villages has been slow. 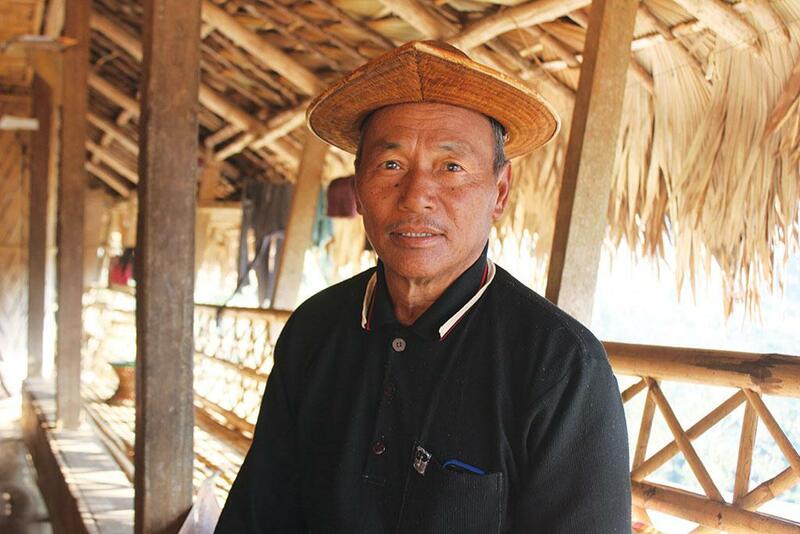 Although improved weather monitoring is a common intervention for all NICRA villages, only half the villages visited by Down To Earth reporters had AWS installed. Climate resilience in agriculture has to be holistically built. It cannot be developed by focusing on isolated aspects of agriculture. Climate resilience of any individual or community depends on three different aspects of agriculture taken together—natural resource management, production systems and market systems. “Climate resilience depends on diversification of production systems which is incompatible with the current system within which the agriculture sector functions,” says Ravindra. There is no technology fix for core issues. That requires changes in the system which will support resilience for small farmers. As the time to imple ment the second phase of NICRA arrives, it seems like it could well be an opportunity lost in an era of climate chaos. Climate change is unfortunately beyond an individual or a country's domain . It has to be fought on a universal platform . No doubt , individual efforts in opinion making go a long way in reversing or slowing down the process that brings a lot of ills to human civilisation . But ,our smartness lies in how we adapt to the changes taking place around us . Our alertness to changes and reacting rationally are the key to success against Climate Change . We , perhaps no longer can take the climate to be a stable factor , rather the erratic behaviour of it is going to be the rule . We have to accept it . Climate Change can not be reversed in the short run . It can be slowed down or reversed to a certain extent in the long run , by building public opinion and drawing appropriate policies and strategies. The most important part is implementation of these policies or strategies . An understanding and honesty in action what is required today by the policy makers , across the world . But this war has to be won for our survival .